Cochin, the capital of Kerala, has one of the best natural harbors in the world. 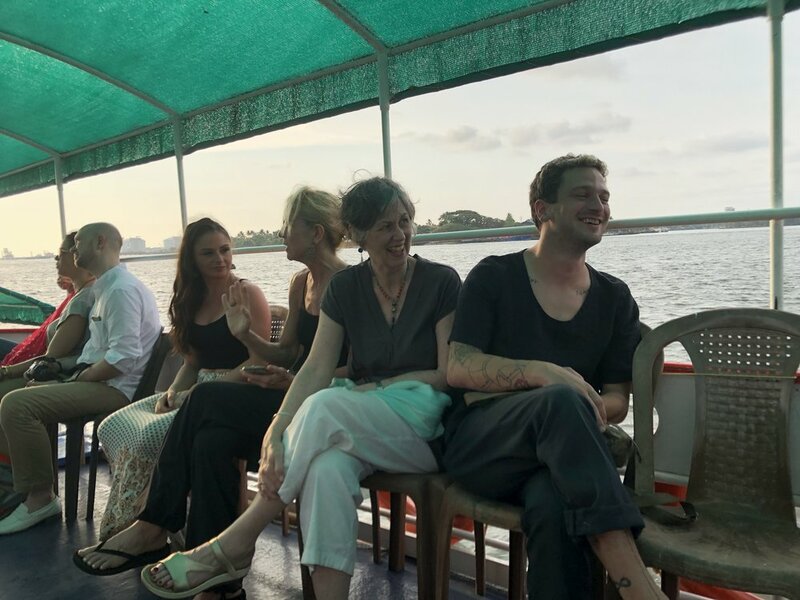 From time immemorial the Arabs, the Dutch, the Chinese, the English and the voyagers from Portugal have followed then sea – routes to Cochin and left their imprint on the town. This restored period building that is our hotel sits well with its colonial era surroundings and counterparts - the great trading houses of British India when pepper from Kerala was considered as precious as gold. Like the cultures they celebrate and display, Brunton Boatyard is a five star hotel whose interiors reflect an eclectic but tasteful blend of English, Portuguese and Dutch influences as seen in its high ceilings, hanging fans and a plethora of artifacts and curios from a great mercantile age known for its pomp and glamour. The scent of colonial history is all around you as you take a tour of the historic Fort Cochin area where the hotel stands. Though little remains of the fort itself there are legacies of its proud history to be seen everywhere. Marari Beach Resort is a celebration of Kerala’s coastal fishing villages. Marari Beach sprawls across 55 acres of lawns, far-flung lotus ponds and whispering coconut groves, all threaded through with stone-flagged pathways. The sea-side village experience set on 30 acres with coconut groves, lily ponds, fruit trees and a large organic farm. Our seaside resort, Marari beach in Mararikulam, is a tribute to the fisherfolk of this region who populate it's spirit in obvious and subtle ways. Our guest cottages echo their dwellings in style and character while our cuisine reflects the culinary subtleties of these people whose sensibilities and culture have been influenced by the charms and challenges of the oceans. Float along and gaze over paddy fields of succulent green, curvaceous rice barges and village life along the banks. This is one of Kerala’s most mesmerizingly beautiful and relaxing experiences. The backwaters of Kerala offer an enchanting experience of fun and relaxation and a chance to see authentic local life; a world of coconut trees, shallow lakes, deep canals and long boats…. Built over forty three acres on the banks of Lake Pichola, Trident, Udaipur is perfectly located to explore the famed sites of the city, such as the City Palace, the Crystal Gallery, the Monsoon Palace or the beautiful Jagmandir. After soaking in the sights of this historic city, return to your private sanctuary at Trident, Udaipur to unwind. Inspired by the architectural and cultural heritage of Udaipur, all the rooms and are furnished in hues of muted beige and cream with traditional artefacts, reflecting elegance and charm. No royal hospitality is quite complete without a lavish feast. Our main restaurant, Aravalli, serves authentic dishes from the Kingdom of Mewar, known for its fine cuisine. Nestled in the heart of vibrant and bustling Mumbai lies Trident, Nariman Point. Soaring 35 storeys tall, it offers panoramic views of the Marine Drive or the Queen's necklace, as the beautiful promenade is lovingly called. An iconic Mumbai landmark, featuring one of the finest accommodations in the city, this is the address to be seen at. The rooms at Trident, Nariman Point, offer stunning views of the ocean and the famous city skyline. Spacious and well-appointed with all modern amenities, the rooms are well complemented by our attentive yet unobtrusive service. Head to one of our award winning restaurants - Frangipani or India Jones, which offer cuisine ranging from Indian to Italian and Asian. Relax and rejuvenate in the calm environs of the Trident spa or recharge with an energizing workout at the fitness center. In a city that never sleeps, there is always much to discover and Trident, Nariman Point is perfectly located to do so. I was always intrigued by India but overwhelmed at the thought of traveling there. When Mona announced her retreat one day in class I knew that was the only way to go. And I went, not once ...but 3 times! Having grown up in Mumbai, Mona offers first hand insight into this kaleidoscopic country while helping us deepen our practice in the place where it all started. The travel was expertly organized, the accommodations luxuriously authentic, and the schedule beautifully balanced between yoga sessions, cultural excursions and leisure. I highly recommend any of Mona's retreat. 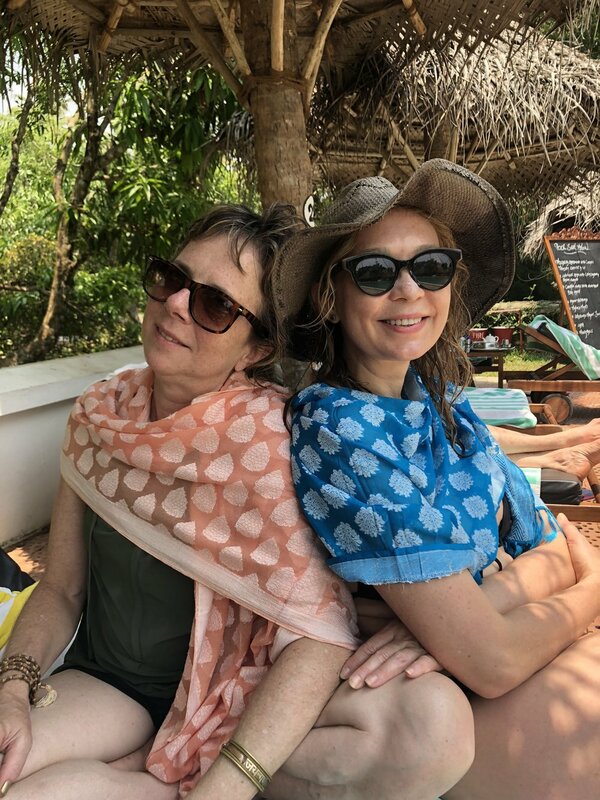 "Mona's India retreat was pure magic. Warm sunshine, delicious food (a LOT! ), fresh daily afternoon chai, and gorgeous views while yoga'ing. This was such an incredible way to reconnect back to myself but also to my husband because this was our belated honeymoon. Mona went out of her way to make it extra special and I could not recommend this retreat more. It's worth every penny and the sense of peace you come home with will make you return, again and again." 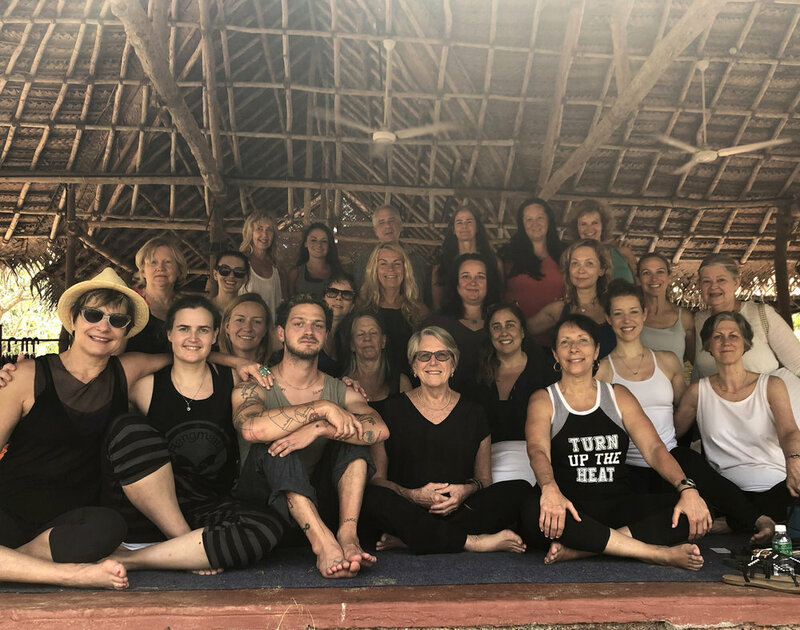 “On our retreat to India, Mona provided a luxurious yet down-to-earth experience both on the mat and throughout the country. We harmoniously settled into a daily yoga practice with plenty of time to leisurely explore breathtaking retreat grounds, take an Ayurvedic massage, and rest well. Mona took us on a journey through Yoga Nidra to a magical deep place within to adventuring out into Indian culture. She arranged awe-inspiring excursions to museums, ashrams, and local shops. We embraced elephants, took tuk tuk rides, and went on an overnight river boat ride where lotuses bloomed at sunrise. We sat on the beach in silent meditation and watched the sun set. “My only mentor Mona has a special gift. She brings together like minded people with similar vibrations and energy, who embrace the positive vibe and bring a lot of laughter. The beautifully chosen (almost surreal) location and of course the ocean helped me peacefully observe and reevaluate the current circumstances of my life. Grateful for the one on one inspirational talks with Mona! Found it very healing to be in a “safe” place and be guided through my fears and self study. The food was not just outstanding but chosen with care and love - helped me to develop new wellness habits. The daily chakra workshop and yoga Nidra helped me stop overthinking and turn down the noise of my inner voice from the past. Learning about a new culture gave me a new perspective about my life and made me see my own circumstances in a different light. After the retreat my chronic illness hasn’t bothered me for seven months. I am so excited to be leading this retreat with Senior Ishta Teacher and Yin Master Teacher, Ulrica Norberg from Sweden. Join us on the exquisite south- east coast of Italy for a week of yoga, meditation, and relaxation. Experience the unspoiled part of Italy; beautiful beaches, delicious food and local wine, all at affordable prices with few tourists await those who venture to Salento, the sun-kissed south of Puglia at the heel of Italy’s boot. It is full of southern Italian ebullience and a heady mix of traditions. The remains of Greek and Roman temples and pre- historic monuments are scattered all over the dry sierras, popping up amid cactuses, olive groves and tobacco farms. Salento has evolved into an eco-friendly and slow living region where many artists, yogis and new-thinkers retreat. We will stay at an organic yogafarm called Agricola Samadhi in Zolino which is surrounded by nature and silence, in the navel of Salento, very close to beautiful beaches and coves. The only sounds you can hear are those of the wind, the chirping of birds and the sound of crickets. Agricola Samadhi is much more than a retreat center; it is a journey within a journey, an existential experience, multi-sensory, energizing and relaxing. Soak in the sun by the pool, spoil yourself with one of the many massage treatments offered, or set off on horse back, boat or bike to explore the area. This center has it’s own style of cooking in its Cucina del Sole where they treasure a slower and more harmonious rhythm of life during food production, preparation and assumption. They follow Ayurvedic and Taoist macrobiotic principles of Yin and Yang balance in their food preparation and use only natural ingredients.They combine their Italian Slow Food heritage with Eastern philosophy to create vegetarian healthy tasty dishes for every meal. We will have two yoga sessions daily in our own yoga room which will include, yoga, meditation, restorative, yin yoga and yoga nidra. Every morning will start with an asana and meditation practice to open us up for the day. Every afternoon includes a restorative or yin yoga practice. Some days we offer satsang (talks/lecture) for those interested. The studio has essential props but please bring your own yoga mat and props of your choice. Children are welcome and there is a playground on the premises. Friends and family members that do not wish to take part in our yoga program are welcome! Mona Anand. Mona Anand grew up in Mumbai, India where she was first introduced to yoga. She is a Yogiraj or Yoga Master in the Ishta Lineage Mona teaches her own Yoga Nidra Trainings and has a Yoga Nidra recording for deep relaxation or sleep available at Ishta and on iTunes. She is a lead trainer in Ishta’s 500 hour teacher training program. She co-leads Restorative Trainings taught around the world. She is known for her signature Yoga Nidra/ Restorative Chakra and Ayurveda Workshop series . She and her teacher, Alan Finger have developed their own system of Ayurveda and Asana and Yoga Nidra which she teaches in advanced Ishta trainings. Mona currently teaches classes at Ishta and Yoga Works. She has a Masters in International Affairs from Columbia University and lives in NYC with her husband and two daughters. Ulrica Norberg. Ulrica (E-RYT 500) is a yoga teacher with more that 20 years experience of many styles and forms of yoga and meditation, now settled in the ISHTA yoga lineage and is a lead trainer in their 500 hr teacher training program as well as a master teacher in certain specialty trainings, such as ISHTA yinyoga. This Sweden native, also a writer and dramatist (written 10 books on yoga and meditation), has lived abroad many years and traveled around the world many times. She is known for her deep knowledge, inspirational spotting, pedagogic teaching and warm approach.